The goal for Health for All by the Year 2000 was adopted by the Ministers of Health from countries around the world who gathered at the Alma Ata (now Almaty) Kazakhstan in 1978 at the International Conference on Primary Health Care. With the arrival of the year 2000, the hope of attaining the goal has vanished. However, reviewing and formulating strategies for ensuring that the goal of Health for Allis attained by all members of the human family as soon as possible is now as relevant as ever. The First World War had wrought a revolution in people's ideas of equality and liberty everywhere. In India, the Home Rule agitation had heightened political awareness and ambition across the length and breadth of the country under the British Raj. The Rowlatt Bill (1919), based on the controversial recommendation of the Rowlatt Committee, was enacted to deal with acts of sedition on the lifting of the Defense of India Act after the war. This was the backdrop when Philip Finney joined the Bengal Police in 1924. 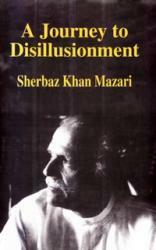 This is an outstanding account of Pakistan's political intrigues. In 1954 the Speaker of the Constituent Assembly of Pakistan, Maulvl Tamizuddin Khan filed a petition in the Chief Court of Pakistan challenging the dissolution of the Constituent Assembly by the Governor-General. Sirdar Sherbaz Khan Mazari discloses in the book how Pakistan's Chief Justice Muhammad Munir 'manipulated' the composition of the Bench to suit the Governor-General in upholding the dismissal of the Constituent Assembly. This decision 'devastated the political structure of Pakistan. 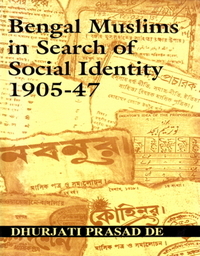 During the first four decades of the twentieth century the Bengali Muslim quest for identity among middle class was the most descernible aspect of the social development of the community. The actual process started during the last quarter of the nineteenth century, and was shaped in the hands of the nascent middle class intelligentsia. For them it had became difficult to choose a right course of action amidst perplexing varieties of mutually contradictory ideas. The community-based TB control program of BRAC, one of the world's largest NGOs has created access to lifesaving diagnostics and treatment for hundreds of thousands. For over 25 years, its army of health volunteers has brought services to the doorsteps of patients.